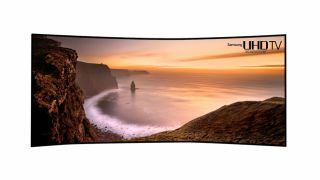 Samsung is keen to hurry on the 4K TV revolution so that we'll all get buying new TVs, so the Korean giant has announced that it is partnering up with media companies to give us a bit more in the way of UHD film and television. A partnership with the likes of Amazon, Comcast and DirectTV along with M-Go and Netflix will see Samsung offering up more content through its Smart TV hub using each company's respective app. A healthy 'content ecosystem' more commonly known as 'lots of stuff to watch' is vital to any new TV tech, with the likes of HD and 3D all suffering from a lack of content at their inception. Mindful that someone has to bite the bullet, Samsung's move is necessary to show faith in the burgeoning 4K/UHD next-gen televisions. Using Smart TV to push 4K content is also, well, smart - reducing the reliance on local TV platforms to have to commit to expensive new filming equipment and find ways to deal with much higher bandwidth (ie more detailed) pictures. Samsung will also release a UHD video pack of popular movies and documentaries from 20th Century Fox and Paramount - which will consist of a hard drive loaded the content.